What a joy that in May and June we have had a focus on youth and children! 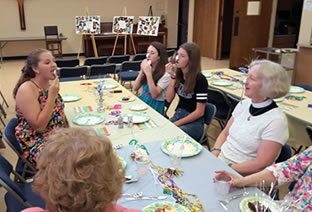 Pentecost brought a wonderful inter-generational picnic with lots of children and youth participating, and the end of the Sunday School year. Thank you to all who ministered to our children as teachers this past year. Many of you experienced the powerful Rite 13 ceremony on Trinity Sunday, May 22, where 4 of our Rite 13 youth were blessed in their journey to adulthood. That Sunday our children and youth were greeters, ushers, readers, acolytes, singers (our new children’s choir’s second performance with us) and “celebrities" (the Rite 13 participants). You can see some photos from the Rite 13 dinner on our Facebook page. Thank you to the Rite 13 leaders who have been mentors for this group for the past two years: Carol Bechtel, Candy Brandt, and Lew Kirk. 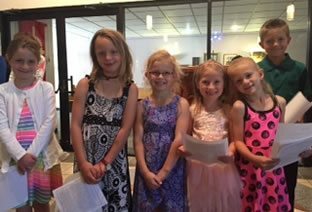 Thank you to Lizz Ward who organized the children and youth in their expanded roles in the worship service. Thank you to Rachel Rubottom who is leading our new children’s choir, and to the children who are participating, and their parents, who enable them to do so. Our Children’s Chapel, which offers age-appropriate worship for our youngest members, runs year-round at 10 a.m. All join the service at the Peace so that the entire community is together for the Great Thanksgiving and the Eucharist. Thank you to the many volunteers who give of themselves in ministry to this important part of our Sunday worship, and to Norris Johnson, who continues to organize this ministry. June brought two important events in the life of our parish. First, the J2A group went on pilgrimage to the Black Hills of South Dakota from June 14 to June 21. We had a Blessing of the Pilgrims during the 10 a.m. service on Sunday, June 12th. Thank you to Manon and Lane who served faithfully with this group as their leaders for the past two years. Thank you to all who have supported this group with prayers and tangible support towards the cost of the pilgrimage. Secondly, the last week of June brought our Fourth School of Fine Arts Summer Camp! 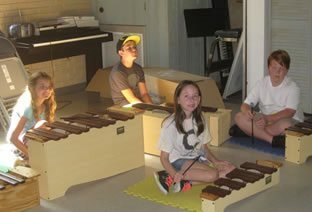 Four years ago this began as an outreach to the neighborhood children, especially to low-income families in our neighborhood, to offer the young people a quality immersion in the arts. The first camp was beyond all our expectations, as 40 young people and many volunteers from the parish felt the energy of the Spirit as they played with creativity, in music, dance, drama, and art. 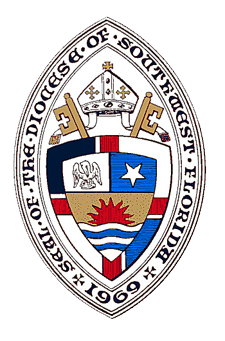 We began with a grant from the Diocese, and continued every year after that on our own. Many of the campers have returned year after year. We offer scholarships to all who need them, and charge a nominal fee ($100 ) for the week for those who can afford it. All St. Catherine’s parishioners are welcome and for non-parishioners they need to live within a 5 mile radius of St. Catherine’s. 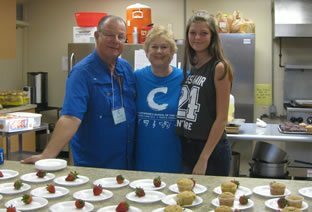 We have had tremendous support from the parish in volunteers who serve as “shepherds" for the small groups of children, as kitchen help ( we serve a light breakfast, morning snack, lunch, and afternoon snack each day! ) and in other important assorted roles. Our staff is fantastic and two of the four have been with us for all four years, one for three, and another for the second year. Thank you to all who help make this camp such a joyful, creative, loving offering to the community. 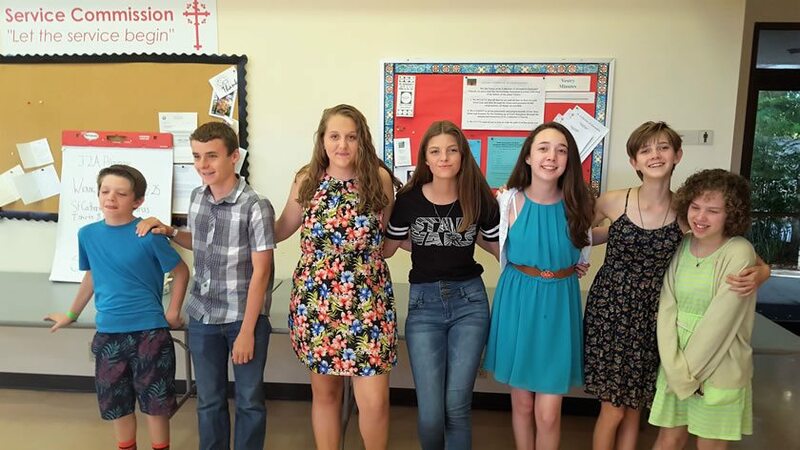 In short, May and June at St. Catherine’s was a time for celebrating our children and youth and the gifts that they bring to our faith community and our world. It was a time for adventure as the J2A youth experienced a powerful pilgrimage to a new place and culture, to find God in new ways. And it was a time for giving to our community, for creativity and play and joy in the Spirit as we hosted 40 young people for our Fourth School of Fine Arts Summer Camp!